If you're thinking about the V-6 model, we advise you get all-wheel drive—mostly because of the front-wheel-drive version's wandery steering under power. Also keep in mind, the Chrysler 200 is also one of the first mass-market vehicles to omit a CD player of any kind, standard or as an option. The 2016 Chrysler 200 stands out for style, safety, and V-6 power—but rear-seat head room is its downfall. The Chrysler 200 made its debut last year, and is a dramatic improvement over the former model of the same name (and yes, the Sebring nameplate, too). For 2016, these stylish mid-size sedans return for their second model year with just a few feature changes, some interior improvements, and three new exterior colors. It's available in LX, Limited, 200 S and 200C trim. 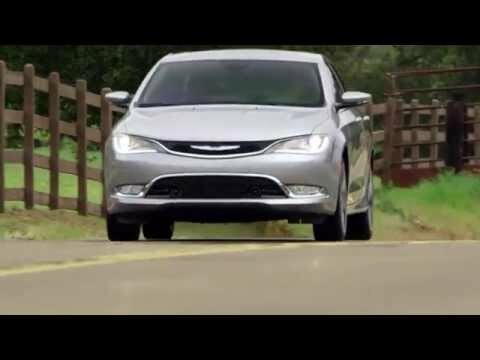 The 2016 Chrysler 200 remains a stylish, comfortable, and genuinely appealing sedan within what's one of the toughest segments of the market. But it does come up short compared to some of its key rivals in a few areas—especially if you expect the focused, high-mileage (hybrid) alternatives that are part of the model lines for most other mid-size choices. Starting at the front, the Chrysler 200 sedan shows up with an unexpectedly fresh face. The shape is smooth, rounded, and capped with a refined grille and front end. It almost picks up where Saab left off, and it's a new and elegant appearance for Chrysler that looks more expensive than it is. The roofline is long, and tapers down to the tail and its short, flush deck lid. The 200 isn't following the playbook for either the current Chrysler 300 or its departed 200 predecessor, but it all works surprisingly well. The 2016 Chrysler 200 is, inside, superbly detailed, and now transformed onto the same level as the Jeep Cherokee and Dodge Durango. All the functionality is there, with sliding cupholders and plenty of cubbies, while the dash is covered with top-notch materials, fits, and finishes. A number of design touches are both functional and distinctive—like the pass-through storage area in the center console, and the rotary shift controller. Interior space was completely rearranged in last year's transformation, and while the Chrysler 200 feels roomy from the front seats (if a bit low in its seating position), it's a bit less useful in back. The door cutlines make the rear seat a little difficult to get into, and if you're more than 6 feet tall the swoopy roofline does exact a penalty. However there is a useful flip-down armrest with built-in storage, and all models have a 60/40-split back seat with a trunk pass-through. In terms of performance, it's all in the family, with powertrains shared with some of FCA's other models, ranging from Jeep to Dodge. V-6 versions of the 200 have strong acceleration and are well-damped, although not the sharpest-handling. At the base level, there's a smooth 184-horsepower, 2.4-liter inline-4, while the 295-hp V-6 is the counterpunch (and knock-out, really) to turbocharged inline-4 offerings elsewhere. You'll find manual-shift modes and paddles to bring out the best of the V-6, but there is a bit of torque steer unless you opt for all-wheel drive. We've found that the 9-speed automatic can, at times, shift abruptly with the automatic transmission—especially with the inline-4. The 2016 Chrysler 200 rides quite well, and its handling is predictable but unremarkable. 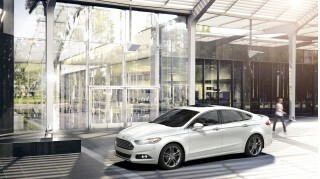 It's neither as soft and comfort-oriented as the current Altima nor as sporty as the Fusion. The 200 is built on an extended version of the Dart compact-sedan platform, and it shares the Dart's strut front/four-link rear end and electric power steering. Overall, driving the 200 is pleasant and progressive, with a firm yet muted feel to the way that it goes down the road. The 200 has excellent crash-test ratings from both U.S. agencies. And it offers an impressive package of equipment that includes both a lane-departure warning system as well as forward-collision warnings with automatic braking, plus adaptive cruise control and rain-sensing wipers. Relative to most of its peer set, the 2016 Chrysler 200 LX remains one of the most affordable. Air conditioning, rear heat ducts, a full-length console with sliding armrest, overhead storage, keyless entry, LED ambient interior lighting, a tilt/telescopic steering wheel, and an auxiliary input back are all included, as are USB and Bluetooth connectivity. Limited models step up to alloy wheels and an audio upgrade, and they can be optioned up with packages that include dual-zone climate control, remote start, heated mirrors, a heated steering wheel, and satellite radio, among other features. Chrysler 200S models get a sportier look that includes plus fog lamps, bigger 18-inch wheels, a sport suspension, and other upgrades. Mirrors are heated, too. Meanwhile, top 200 C models heap on additional features (including a heated steering wheel for 2016), and the top Uconnect system now includes a configurable menu bar, Siri Eyes Free compatibility, and a "Do Not Disturb" function that temporarily blocks calls and texts. The 4-cylinder 200 earns an EPA rating of 23 mpg city, 36 highway, 28 combined. The 200's optional V-6 and 9-speed automatic earn 19/32/23 mpg, and with all-wheel drive those numbers fall to 18/29/22 mpg. A fantastic cockpit and sweeping sheetmetal give the Chrysler 200 a sharp sense of style. The 2016 Chrysler 200 doesn't easily let on that it's closely related to the Dodge Dart. It looks far more sophisticated, with its sheet metal flowing effortlessly the 200's arched roofline and cockpit; it's a nice counterpoint to the taut, definitely sportier look of the Dart. We see lots of passing resemblances to the 200's exterior design, but none of them are a bad thing. From the Saab-like front end to the roofline that's been passed down from the Audi A7 and Ford Fusion—to a dash of the elegant details in the Hyundai Genesis and perhaps Lexus LS—the 200's exterior is very attractive and really doesn't have a bad angle. We're even growing to like the downturned shoulder line that drops to the rear. The exterior, with its elongated roofline, also goes a long way to hide the truth: that it's a larger car built on the wheelbase of a compact car, with wheels that sit well inboard from its front and rear. In the details, there's a lot to admire. On the outside, all Chrysler 200 sedans have LED taillights; LED fog lamps and running lights are available. Most Chrysler 200 sedans have bright trim around the windows, though the 200S wears gloss black instead. This year there are three new exterior colors from which to choose: Black Forest Green Clear Coar, Maximum Steel Clear Coat, and Redline Tri-coat Pearl Coat. The 200's real showpiece is its cabin. It's entirely convincing in its quality, and its refined, tech-centric premium-car ambiance. Dash and split vertically, allowing a carved-out space below, and it's all adorned in some unusual and very attractive trims. The gauges and center display float together in a sleekly curved cut-out from the soft-touch dash, and trimmed in attractive colors and grains, including an open-pore wood on the 200 C that's simple and beautiful. The details speak to lots of attention and time: there's an embossed Detroit skyline in the under-console on its protective rubber mat (though neither the car nor the company hail from the city itself), there are volume and seek controls on the back of the steering wheel, even a natty interior trim with black surfaces, blue piping, and a blue cast on the dash trim. The lower controls don't surrender any functionality for the layout. It includes an unusual rotary shift knob and big dials for volume and air speed, and they're laid on a separate plane atop a console with open storage beneath, a la Volvo. There's also a slide-back portion under the cupholders that reveals charging and power ports. Other family sedans have better ride and handling, but the 200 performs well enough in V-6 form. Today's mainstream four-door sedans are no longer so softly sprung and unsatisfying to the driver. There's really no reason to settle for a model in this class that doesn't meet your standards of responsiveness, because you can get a wide range of personalities now, from quiet, soft, and refined, to decidedly edgy. Somewhere in the middle is where the 2016 Chrysler 200 lands. In its V-6 versions, it's not quite the sharpest tool in the family-sedan set, but it's responsive and firm—while remaining pretty well-damped for most situations, so as not to be harsh. At the base level, the Chrysler 200 is powered by a 2.4-liter inline-4 and 9-speed automatic transmission, sending power through the front wheels. It's essentially the same powertrain that's available in the Dodge Dart, and in some versions of the Jeep Cherokee—and now the Renegade, too. With 184 horsepower and 173 pound-feet of torque, it's just perky enough to be adequate in pretty much every use imaginable—although it's not sporty, and in these versions the automatic doesn't allow full manual control over shifts. The Chrysler 200 with the optional 3.6-liter V-6 barrels ahead of some sedans that come only with 4-cylinder engines. Here it's rated at 295 hp and 262 lb-ft of torque, and subjectively, by real-world, pin-you-in-your-seat standards, it boasts the strongest acceleration in the segment. It unfortunately also has some noticeable torque steer, at least in front-drive versions (the tendency to pull to the side during acceleration, even when both front wheels have traction). Get the 200's optional all-wheel-drive system, which can send up to 60 percent of the torque to the rear wheels, and you potentially cure that—but with the caution that we still haven't extensively tested the all-wheel drive versions. One drawback with both of these engines is that the 9-speed automatic has somewhat unpredictable (and inconsistent) shift patterns. Sometimes shifts seem drawn-out and uncertain, leaving the four-cylinder engine especially to rev higher than it needs to in some of its lower gears. Luckily the optional acoustic glass helps quell any additional noise from the 4-cylinder engine. If only for its standard shift paddles, we'd order the V-6. The paddles give direct control over shift timing, and tap into all the driving enjoyment the 200 can muster. It does take a few clicks of the paddles to get down below the 9-speed's multiple highway cruising gears. Separately the rotary shift dial also lets you select a Sport mode that gives the 200 more than just some delayed shifts; it enables more steering weight and better responsiveness in general. Chrysler's basic setup of front struts and rear links meets its match with the heady acceleration of the V-6. It wants to surge, while the 200's tires want to scrub off speed and some of the car's finer responses. The 200 is smooth and steering is reasonably responsive, but its attention drifts as the cornering forces build. In all, this is definitely not a sport sedan, and the 200 feels at its best in plush 200C V-6 models versus the sportier 200S guise. Predictable, unremarkable handling puts the 200 in that middle band between Altima and Fusion. The 200 is generally well-behaved, yet it does its best to tamp down the worst of the road. Tight head room makes the Chrysler 200's rear seat a difficult sell. With last year's redesign, the Chrysler 200 gained some interior space as well as some exterior bulk. It's larger than the compact Dodge Dart on which it's based, and it's larger than the previous Chrysler 200. And it has the supple, well-controlled ride of a comfort-oriented mid-size sedan. 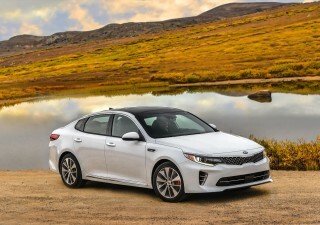 But there are definitely some compromises to be aware of if you're choosing the 200 over another popular mid-size sedan like the Toyota Camry, Volkswagen Jetta, or Ford Fusion—like a noticeably compromised back-seat space. The 200 is solidly in the mid-size space, yet it can't quite put its compact-car roots in its rearview mirror. From the driver's seat, there's good comfort for 6-footers, as well as good knee room from the dash design; and the optional sport seats have an ample range of adjustment and good bolsters for long-distance support. You also sit a bit low in the 200—so so taller drivers will see as much of the 200's headliner as they will of the road ahead. The back seat is a place for small adults and teenagers; but small door cuts and the arc of the roofline keep it from feeling accommodating for taller adults. The 200 has 37.4 inches of rear-seat head room at its highest point: it's a competitive number, but it's clear that the peak comes well forward of where it does on cars like the Fusion or Altima. It's all confirmed by the numbers. 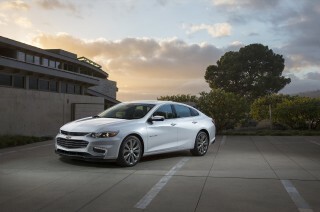 The Chrysler 200 is closer to the Dart than you might suspect from design and styling. Its wheelbase is just 1.6 inches longer than that of the Dart, which leaves the 200 a few cubes shy of that offered by the Sonata or Fusion—and they're arranged in a less-human-sized way. Luckily, all models offer a 60/40-split back seat with a trunk pass-through, and the trunk is generously sized, at 16 cubic feet. Elsewhere, the storage solutions are solid. Power cables can be routed a few different ways due to the center-console design, it'll fit an iPad in that storage tray. Nitpicking about back-seat space aside, the 200 has what we think is one of the best interiors in this segment. Its premium treatments are a warmer, classier place than the Lincoln MKZ, skipping right by the even more coolly styled Ford Fusion interior. An IIHS Top Safety Pick+ award and five-star NHTSA rating make the Chrysler 200 one of the safest sedans you can buy. The 2016 Chrysler 200 carries over an entirely excellent set of occupant safety ratings from the NHTSA and by the IIHS. In IIHS testing, it's achieved top top "Good" ratings from the IIHS in all categories of testing including the tough small-overlap frontal category. And it's garnered the excellent "Superior" result in testing of its automatic-braking accident avoidance system (a forward collision warning, offered with the Safety Tech Package). Altogether, it earns the Top Safety Pick+ accolade from the IIHS. And in federal testing, the 200 has received not only five stars in its frontal and side ratings, but also in all associated subcategories of testing—like for front passengers in the frontal test, and for rear-seat, female-sized passengers. That top safety option package includes a lane-departure warning system with forward-collision warnings and autonomous braking, as well as adaptive cruise control. While that's still the domain of the top 200C, the 200 Limited now offers both blind-spot monitors as a stand-alone option. In addition to the usual airbags and stability control, the Chrysler 200 now has a driver knee airbag. For 2016, a rearview camera is now standard equipment. The 200 can be fitted with some luxe equipment—but base cars don't get as much soundproofing, Bluetooth or a rearview camera. The 2016 Chrysler 200 LX offers as much, if not more, feature content compared to other mid-size sedans in its class. And with the V-6 now also available on Limited models, the 200 can add up as quite the strong, refined deal among rivals. Air conditioning, overhead storage, a full-length console with sliding armrest, keyless entry, LED ambient interior lighting, a tilt/telescopic steering wheel, and an AM/FM audio system with USB and an auxiliary jack are all among the features included in the base LX. For what's intended as a fleet model, the equipment level is fairly complete. But in the LX, you'll need to order Bluetooth separately; there's no rearview camera system; and there are no rear-seat air ducts or satellite radio. In the middle of the lineup is the Chrysler 200 Limited. Here you'll get a better audio system and alloy wheels, and for 2016 a rearview camera system is included. Option packages on this model include remote start, dual-zone climate control, a heated steering wheel and heated mirrors, a rearview camera, satellite radio, a power sunroof, and 18-inch wheels. From here up, it's either to the sporty 200 S or the top-of-the-line 200 C. In 200 S models, you'll get fog lamps, heated mirrors, 18-inch wheels, a sport suspension, and other upgrades for a sportier look overall, as well as better equipment. Options include the V-6, all-wheel drive, a panoramic sunroof, 19-inch wheels, and navigation. 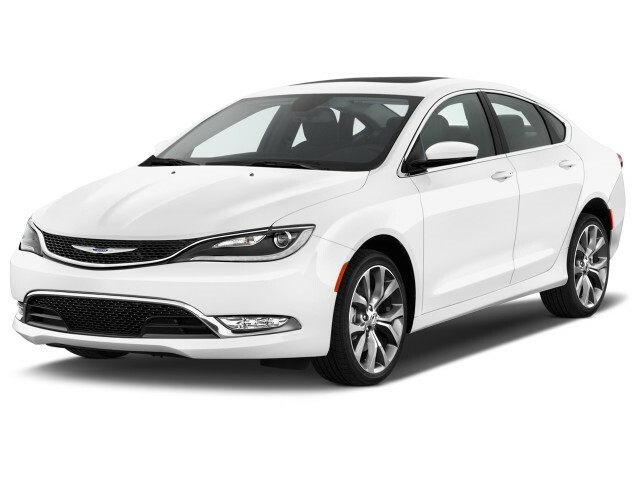 On those 2016 Chrysler 200 C models you get upgraded materials and trims, plus the chance to option up to things like HID headlamps, LED fog lamps and running lamps, ventilated front seats, the open-pore wood interior, and a SafetyTec package. Options are very similar to those on the 200 S; for 2016 a heated steering wheel is newly on that list, however. Chrysler's excellent Uconnect infotainment systems come in different flavors across the lineup. At the top of the Uconnect ladder is a version with an 8.4-inch touchscreen; Bluetooth; satellite and HD radio; navigation; and app connectivity for everything from music streaming to voice-to-text messaging. New to the Chrysler 2016 lineup is an improved version of the 8.4-inch touchscreen infotainment system that brings a Drag and Drop menu bar, Siri Eyes Free, and a new "Do Not Disturb" feature that temporarily turns off incoming calls and texts. Fuel economy isn't helped much by the optional, desirable V-6. With its full redesign, this past year, the 200 managed to make some pretty impressive gains—up to 7 percent versus the previous model. And for that level of improvement, you can point mainly to the transmissions. The numbers still are lower than many mid-size sedans with larger interiors, and there's no hybrid or diesel model to be had in the 200 model lineup. 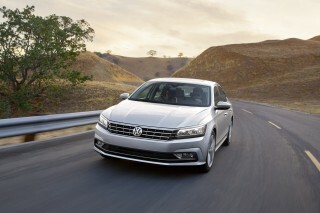 The 4-cylinder 200 earns an EPA rating of 23 mpg city, 36 highway, 28 combined. The Nissan Altima—the current class leader in non-hybrid models—earns an EPA highway rating of 38 mpg with its 4-cylinder engine and CVT. The 200's optional V-6 and 9-speed automatic earn 19/32/23 mpg—closer to the marks set by the V-6 Altima and Fusion turbo fours. With all-wheel drive, though, the numbers fall to 18/29/22 mpg. And that's really no better than you'd see in a roomy mid-size SUV. There was a "re-launch" of the Chrysler 200 in 2015. It was re-done from the bottom up. I have now had the chance of putting enough miles on the 2016 C version that I can comment on this vehicle. I will say... There was a "re-launch" of the Chrysler 200 in 2015. It was re-done from the bottom up. I have now had the chance of putting enough miles on the 2016 C version that I can comment on this vehicle. I will say that this is specific to the 200C trim level with the V6 engine and Safetytec package. It has all "options" except the AWD. This model has been embroiled in some controversy...rear seating, visibility, nine speed transmission, however on a whole, the 200C delivers.The nine speed is smooth, efficient and well matched to the Pentastar V6. Mixed driving gets about 28.5 MPG. Have done 35MPG on highway. And yes(contrary to reports) you can achieve the 9th speed at 70MPH @1500 RPM. Now to Safetytec...while many have a negative attitude, as the car will "take" over if deemed necessary, the Adaptive cruise provides a level of protection that does require an understanding of how it behaves. It will "adapt" to changing road conditions (rubberbanding traffic) and bring to stop if necessary and then resume. There are cues in the instrument information center that let you know it is engaged. This is important as it is disengaged if you do hit the brake, and if you are expecting it to stop there may be an issue. As I said drivers will need to learn and adapt themselves. Other parts of the package such as lane sense gently nudge the steering wheel back into the lane should you drift. Markers in the blind spot are helpful on multi lane highways as you are passed on the left and right. Not annoying as a chime will sound if you signal to change or turn and a vehicle is in the blind spot. Finally rear cross and camera when backing up, and hopefully a never used feature is collision mitigation which will warn and brake if an object is in path and rate of speed to too fast it will apply brakes. Now you see why this is indeed a top safety pick vehicle. Great sound and navigation system (U-Connect)many features and responsive. All amenities, heated and cooled seats,heated steering wheel,fully adjustable seating with memory, key-less entry (just touch door handle). Interior finish and materials excellent. Some may not like the "Transmission Knob", and electric parking brake. I like it. Great storage up front. Exterior lines are clean yet provide a series of shapes and curves that make people take a look. Lighting is full featured. Auto hi-beam and auto wipers keep driver on driving and not controlling and switching these items.If the water on the windshield is increaseed ( rooster tail from another vehicle), the wiper speed up is quick providing safety and visibility. Instrument panel is clear and vehicle information is excellent. Other features is voice control and hands free (part of U-Connect System). The power and performance of the drive train (V6 & 9 speed) delivers. Plenty of power and plenty of economy.Often opposite in achievement. For some drivers visibility may be an issue, sloping large A pillars (keep you safe), and large rear view mirror may block vision. Rear vision looks when turning are some what limited. Safetytec overcomes some of this. Rear seating is "average" however due to the rear sloping lines, entry and exit requires a dip in the head for 6 footers. Purchased in April and now with almost 6000 miles I can say I am happy and future proofed (Safety) with an expectation of keeping this vehicle 10 years. My 200 looks good, drives good, 33 miles per gallon, great style. No CD, but great icon next system. Sirius music with USB connection w/reverse camera. Storage very good and really nice trunk space. love the car until i got some recalls..
they said it would take 4 hours to replace..... so now my car has been in the shop for 4 days not 4 hours and its still not done...just wonderful. Looking for a different year of the Chrysler 200?